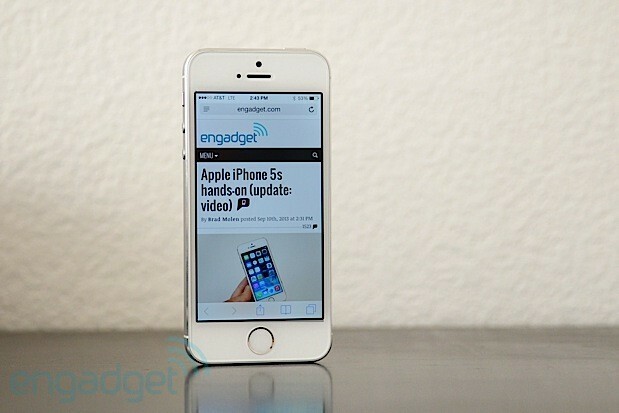 Rumors swirled ahead of the iPhone 5s' launch that the silicon inside it would come from a source other than Samsung. Despite signing a deal with TSMC to manufacture future SoC's, Chipworks has confirmed that the A7 powering the new flagship iPhone comes from a familiar place: Samsung's fabrication facilities. Yet, while Apple couldn't cut the tie that binds it to its greatest rival for the main brain of the phone, it did manage to source the secondary M7 chip from NXP. Again, Chipworks discovered the M7's origin, and while we'd love to send you straight there for the nitty gritty now, it appears the site is currently down -- so, iFixit's secondary reporting of Chipworks' work will have to do... for n! ow. We're a little late to this party, but it's too fun not to share. Last week, a group of Brazilian hackers decided to get the NSA back for all its spying with a big huge cyberattack. And hack they did! 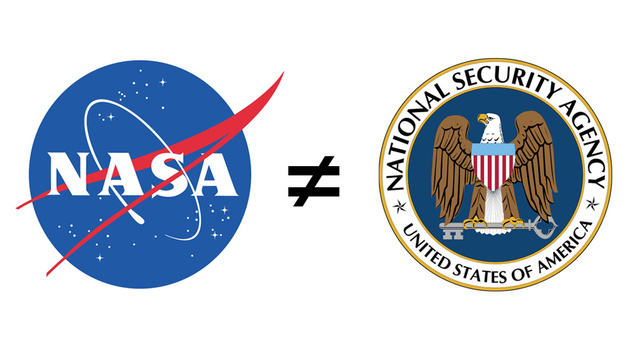 The only problem is that they mixed up their acronyms, and hit NASA instead. 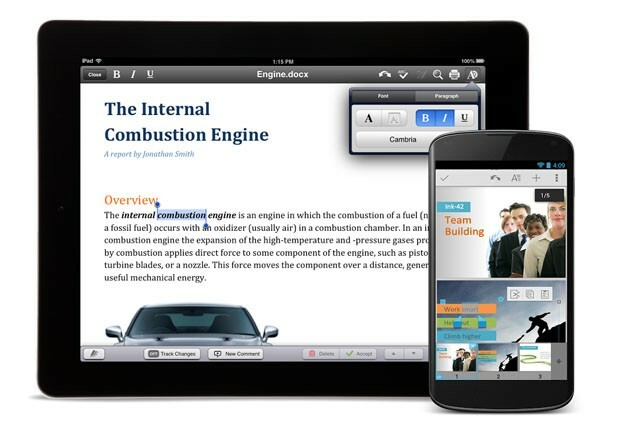 Less than two weeks after Apple decided to make iWork free for new iOS devices, Google went and did us one better: it's offering its Quickoffice suite for free, to both Android and iOS users. If you recall, the apps have actually already been free to Google Apps subscribers, specifically, but now the offer applies to anyone, regardless of when they activated their device or what OS version they're using. As an added incentive, if you sign in to your Google Account from the Quickoffice app by September 26, 2013, you get 10 gigs of extra storage space for two years. And that's all there is to it. Hit up the source link for more details, if you need them, or else find the app on Google Play or the App Store. What do a fanless PC and a motion-controlled laptop have in common? Nothing, really; just that HP is going to be first to market with both of these things. After teasing a fanless tablet back in June, the company has formally announced the Spectre 13 x2, which isn't actually a tablet so much as a hybrid laptop. Additionally, HP unveiled a special edition version of its Envy 17 notebook with a Leap Motion controller built into the palm rest. Hewlett-Packard is unveiling a bunch of fall consumer PCs today with a variety of bells and whistles, including its first consumer laptop with integrated gesture controls from Leap Motion. 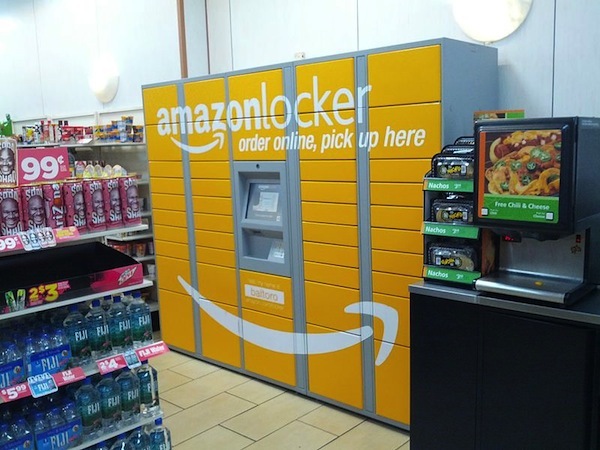 Perhaps placing Amazon lockers right within the confines of a couple of its toughest competitors might not have been such a great idea after all. Several months ago, Staples and RadioShack agreed to add the online retailer's lockers inside a few brick and mortar locations so that Amazon customers could choose to pick up their goods at the store instead of missing a delivery, with the host retailer getting a small fee in exchange. According to Bloomberg however, Staples and RadioShack have now decided to yank the lockers from their stores. Staples claimed the Amazon deal "didn't meet the criteria" that was set up, while RadioShack stated that the lockers "didn't fit with its strategy." We can't say we're terribly surprised to see the rivals part ways, but hey, at least you can still find an Amazon locker in select 7-Elevens. Despite the gains made by Mozilla Firefox and Google Chrome, Internet Explorer is still the most popular web browser and Microsoft hopes to keep it that way. 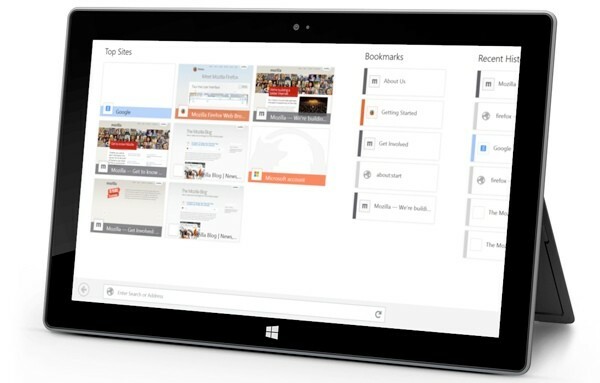 To that end, Microsoft on Wednesday released a "preview version" of the next incarnation of the browser for Windows 7, IE 11. Microsoft says IE 11 runs 30% faster than other browsers, according to benchmark tests. 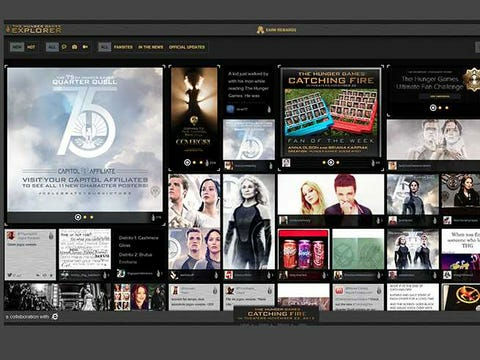 This browser has many of the features of the IE for Windows 8.1. 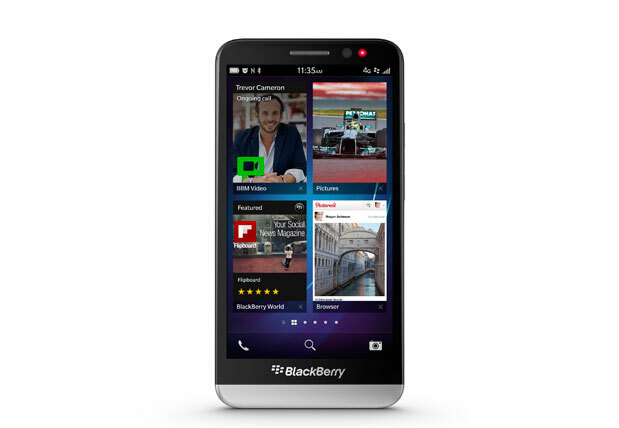 For instance, it supports multi-touch gestures. While there's scant few Windows 7 touch PCs out there, this will be helpful for enterprises buying new Windows 8 touch PCs and "downgrading" the operating system to Windows 7, which their enterprise licenses allows them to do. The browser has some new features for developers, too, like support for something called F12 developer tools, which helps Web developers analyze their HTML code. Plus, it supports a Web standard called WebGL for 3D graphics. Despite the wide LTE support featured on the Nexus 7 2013's cellular modem-equipped model, early buyers have found Verizon won't activate it for a new line on the Big Red Network. The company responded officially on the matter today, explaining that its 4 - 6 week certification process must be completed first. The process apparently began in August, and spokesperson Debi Lewis said the company expects that to happen "shortly." The whole process is actually laid out on Verizon's website and shows how the testing is undertaken by a third party lab of the manufacturer's choosing -- feel free to read through it during the days / weeks your new Nexus 7 isn't connecting to LTE. We are well past mid-August, which is when Sharp initially estimated its new 70-inch Aquos 4K Ultra HD LED TV would begin hitting shelves. 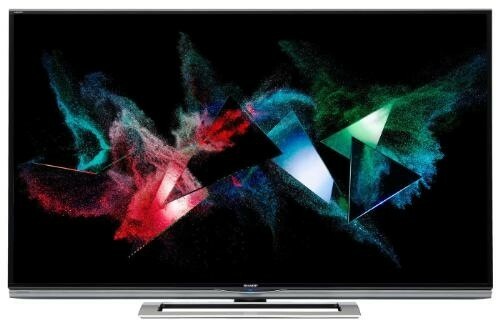 Despite the late arrival, however, something tells us folks will still be glad to have yet another choice when shopping for their next 4K television set. To make things better, Sharp's super high-res, THX-certified Smart TV is set to be carrying a $7,499.99 MSRP here in the States, making it about $500 cheaper than when it was originally announced. Those of you interested shouldn't have trouble finding one, as Sharp says it'll be available at many regional and major retailers across the country. 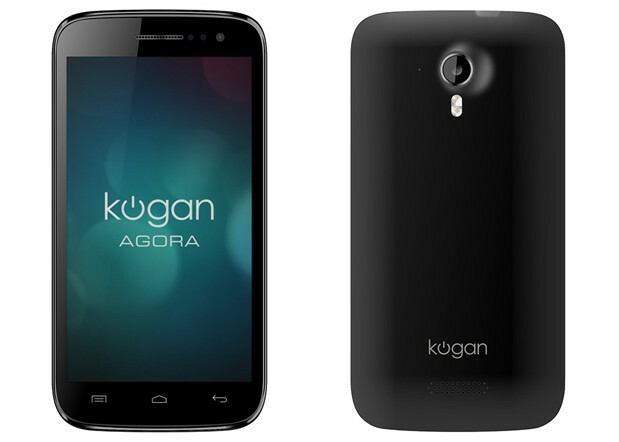 Kogan's Agora brand may not drive techies wild like Galaxies or iThings do, but its motto is clear: try to deliver reasonable hardware at the lowest possible price. The company's first bid for a piece of the smartphone pie launched earlier this year, and today we're learning of its sequel. Design-wise, this second Agora handset is a little curvier than the last, with a soft key replacing its predecessor's physical home button. 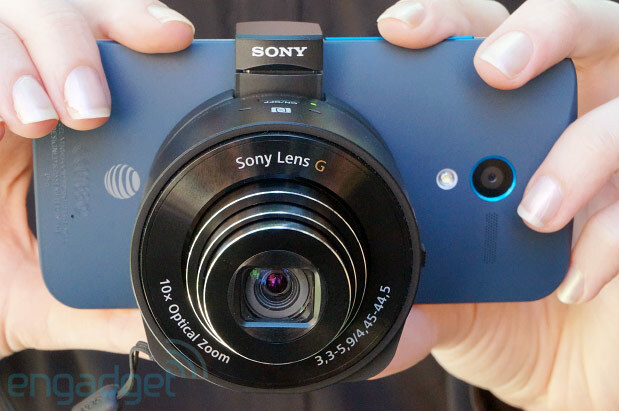 A 5-inch, 720p IPS LCD display occupies the face, and inside we're looking at a 1.2GHz quad-core MT6589 Mediatek SoC (Cortex-A7), 1GB of RAM and 4 gigs of internal storage, expandable with up to 32GB cards of the microSD variety. 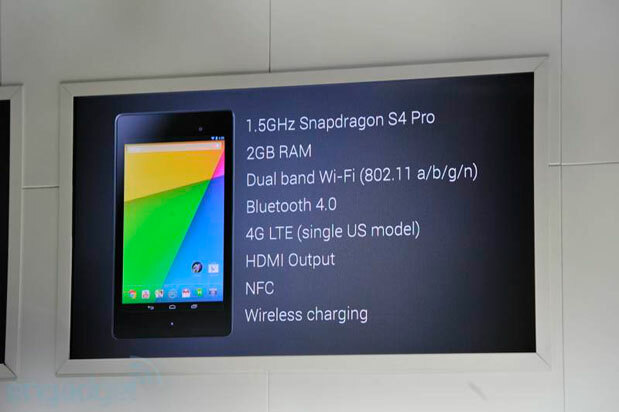 It runs Android 4.2.2 Jelly Bean, hosts two SIM slots, an 8-megapixel main camera, 2-megapixel front-facer, 2,000mAh removable battery and 3G (850 / 1900 / 2100), WiFi (802.11b/g/n) and Bluetooth 4.0 antennae. Most importantly, it costs $189, £149 or 199 Aussie dollars -- it's up for order now at the relevant source links and is expected to ship to the US, Australia, the UK and other European countries, as well as a couple of Asian markets starting October 3rd. 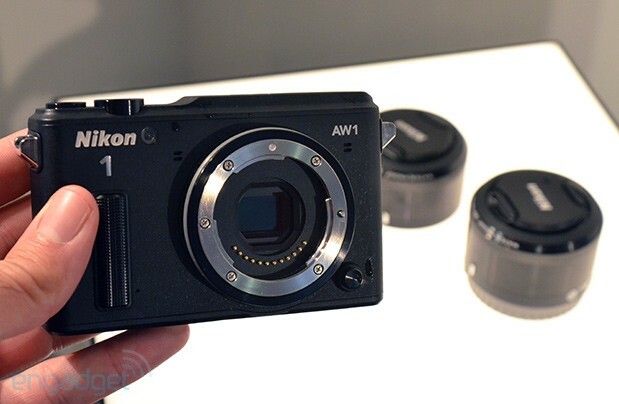 We're hoping to get a review unit through soon, so keep an eye out over the coming weeks for our impressions. 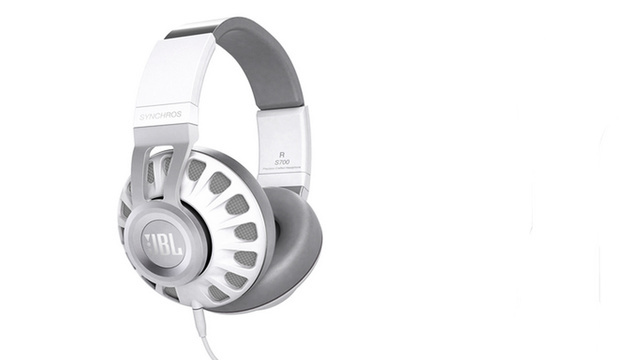 In our opinion, anything that rings up at under $200 is worth a fair trial. 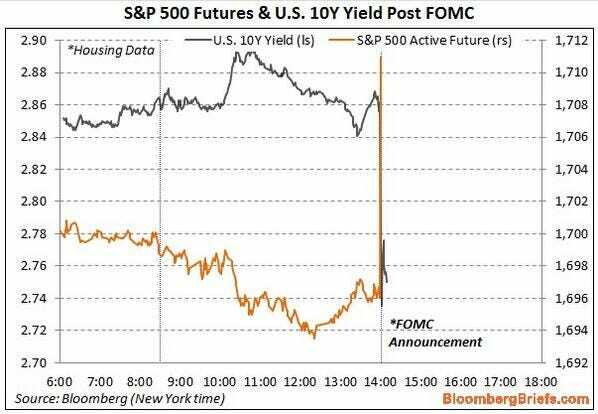 The Federal Reserve's FOMC statement is out, and it's a shocker! The Fed is NOT TAPERING its massive $85 billion large-scale asset purchase program. Almost no one expected this. The Dow went from -40 to +63 in the blink of an eye. The S&P 500 got as high as 1,718, which is an all-time intraday high. The U.S. dollar tanked, and gold spiked. The 10-year Treasury note yield tanked to 2.76% from around 2.86% before the announcement. Bloomingdale's has figured out a way to keep customers from wearing expensive items for big events and returning them the next day. The retailer is putting three-inch black plastic tags in visible places on garments so the wearer can't easily conceal them, report Cotten Timberlake and Renee Dudley at Bloomberg. Once the clunky tag is removed, shoppers aren't allowed to return the item. The practice of buying an item with the intention of wearing it once and returning it is called "wardrobing." Shoppers are notorious for "wardrobing" for big-ticket items like prom dresses and other formalwear. The problem cost the industry $8.8 billion last year, according to the National Retail Federation. But Nordstrom told Bloomberg that it didn't plan on emulating Bloomingdale's strategy. “Our experience is that if you treat the customer with respect, they respect you back,” spokesman Colin Johnson said. The release of iOS 7 is undoubtedly the big Apple news of the day, but there's another new product rolling out with it as well: iTunes Radio. 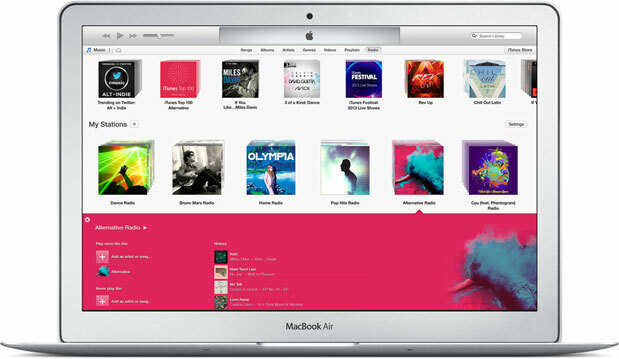 The Spotify-like feature, which was announced during Apple's iPhone event last week, is part of the new iTunes 11.1 and allows users to create custom radio stations based on their personal music libraries or musical proclivities (e.g., genre, artists, track, etc.). Naturally, the service, like its competitors, is freemium, so you'll have to pony up $25/year for iTunes Match in order to keep the hits coming sans advertisements. The update should be hitting all Macs running OS X 10.6.8 and up now, so while you're frantically hitting refresh on that iOS update, you may as well check for this -- or head to the source below for the download link. The Raspberry Pi has all kinds of setting hidden away inside its configuration file. 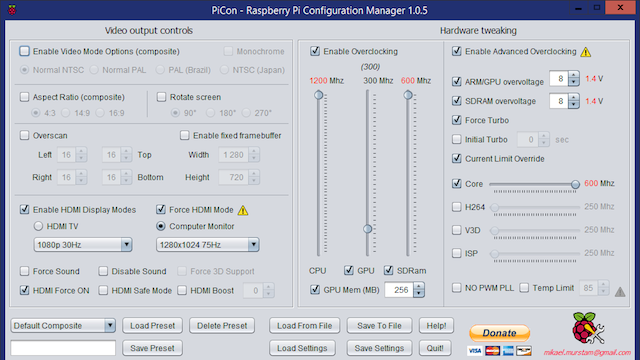 If you don't want to mess about with that, PiCon is a program that allows you to easily set up your Pi without mucking around in the config.txt file. PiCon is cross-platform and it simply creates a config.txt file that you can save to your Raspberry Pi. It's packed with all kinds of options for the Raspberry Pi, including forcing HDMI, changing aspect ratio, rotating the screen, and more. You can do all this stuff from the command line on the Pi if you want, but PiCon makes it easy to see all your options in one place. After you create the file, just upload it to your Raspberry Pi and you're all set. While most of the supertall building boom spotlight has been placed China and the UAE over the past few months, there's an even more staggering development happening much, much closer to home. 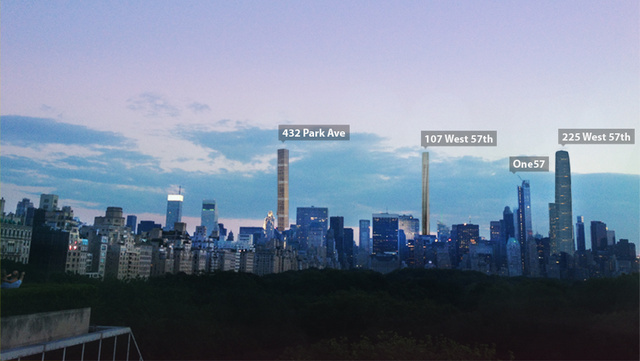 At least four 1,000-foot-plus skyscrapers are set to rise along (or adjacent to) West 57th Street over the next few years, each of the tall enough to change America's skyline forever. 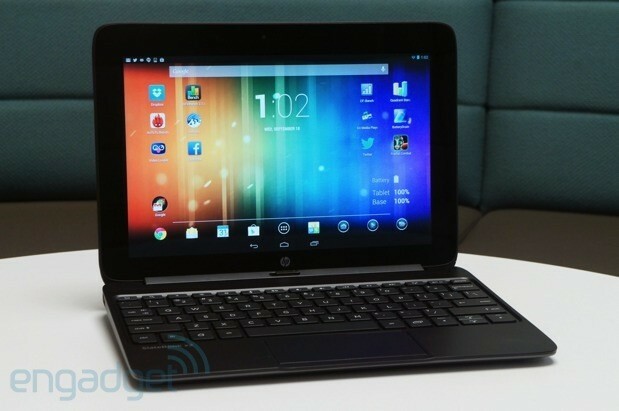 LG's oddly shaped Optimus Vu II is slated for an update next month, according to Korean site ETNews. The 4:3 large-format device, dubbed simply Vu 3 (LG has dropped the Optimus branding from flagship devices), has also appeared on an LG microsite, which serves to both confirm the handset's existence and tease a pair of semi-transparent QuickView cases. The phone covers, available in black or gray, appear to feature a see-through design, enabling some pretty spiffy animated notifications. 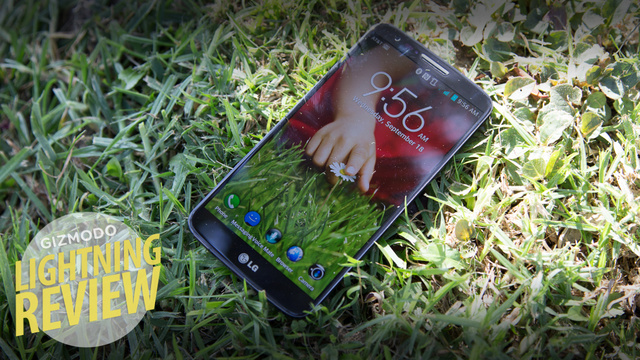 As for the phone itself, you can expect a Snapdragon 800 chipset, a 13-megapixel rear camera and LTE-Advanced support. 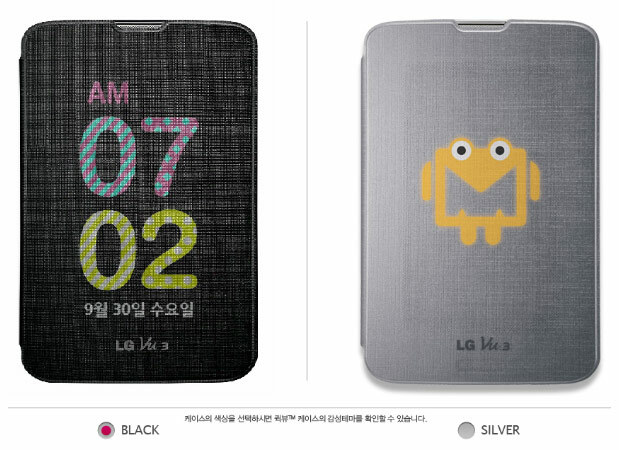 It's slated to hit KT Telecom, SK Telecom and LG U+ in Korea in the coming months. iOS 7 looks lovely, but it's not all about appearances; the new operating system is bringing some nice new features as well. But even if you get the upgrade, you might not get all the fun stuff that comes with it. 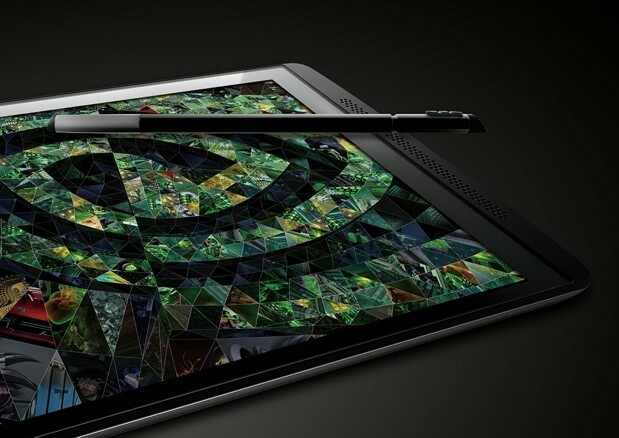 As a follow to NVIDIA's Tegra 3 reference design for tablets, the company is now unveiling a more ambitious platform known as Tegra Note that leverages the Tegra 4, supports stylus input and provides new multimedia features. Like Project Kai, tablets based on the Tegra Note platform carry a suggested retail price of $199, but pricing is ultimately up to NVIDIA's manufacturing partners and their various hardware configurations. If this all sounds a bit familiar to you, it should. We first saw signs of NVIDIA's new tablet platform when it appeared as the Tegra Tab at the FCC, and then again in subsequent leaks. Manufacturers can easily apply their name to the reference enclosure, which houses front-facing speakers, a 7-inch, 1,280 x 800 IPS display and a VGA webcam. Naturally, you're also getting the Tegra 4 SoC, which includes a quad-core Cortex-A15 CPU, a 72-core GeForce GPU and advanced imaging features under the Chimera architecture. Other specs will depend on manufacturers, which could include a 5-megapixel rear camera, a microSD slot, a micro-HDMI port and a built-in stylus that offers both chisel and brush tips. Along with the hardware reference design, NVIDIA is also including Camera Awesome from SmugMug and TegraZone in the Tegra Note platform (along with stylus-enabled apps on appropriate models), and it's even managing the Android system updates. You can expect the first of these Tegra Note tablets to hit shelves in October from the likes of EVGA, PNY and ZOTAC, along with a full line of accessories that include covers and interchangeable stylus tips. 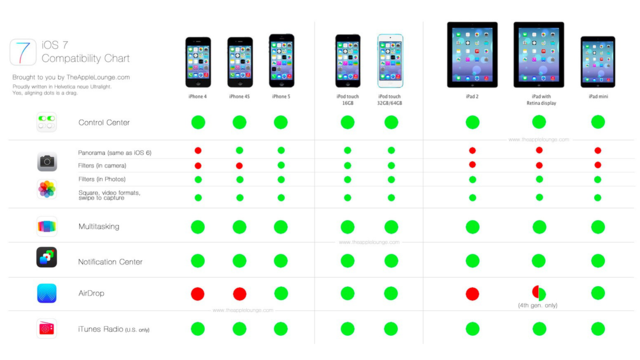 Apple introduced a couple of new things for advertisers in its upcoming iPhone operating system update, iOS 7. First, it forced more advertisers to use its iPhone tracking system, IDFA (sometimes called IFA), which stands for ID for Advertisers. 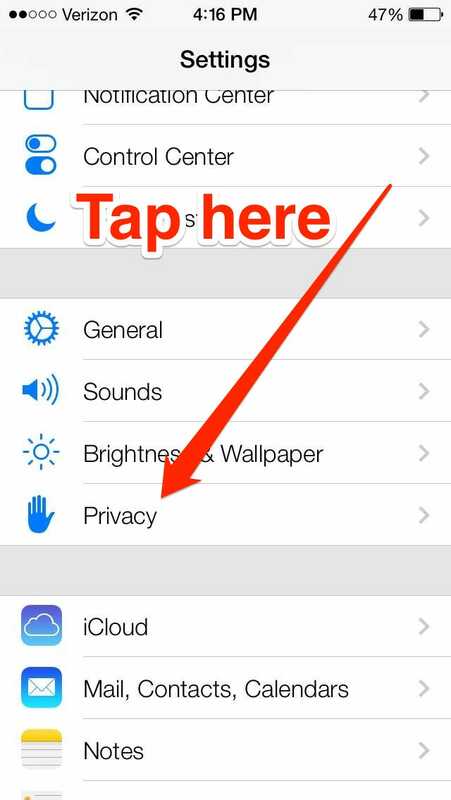 Second, it rearranged the settings on your iPhone so that it's actually easier to switch off the tracking if you don't want advertisers to get your personal data. Most people don't even know their iPhones track what they do and send that data to advertisers. 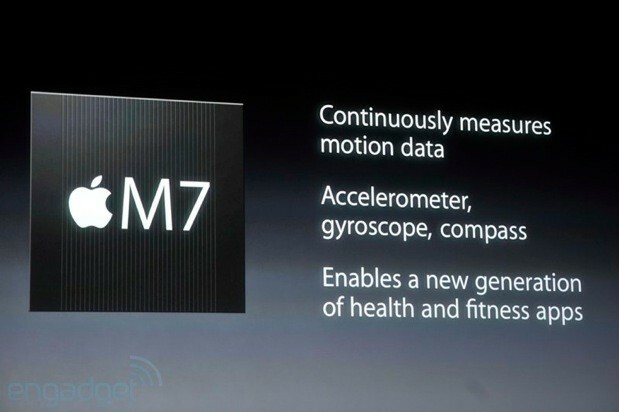 And Apple makes the iPhone and iOS 7 with tracking in a default "on" position. If you want to switch it off, here's what you have to do. Next tap on the section labeled "Advertising." This brings up the "Limit Ad Tracking" option. Move the slider button to "on." 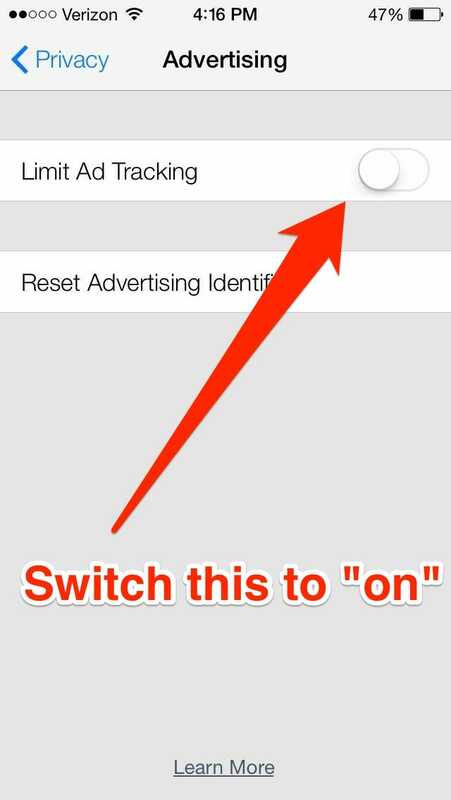 Yes, it's confusing: To switch ad tracking off, you have to move the "Limit Ad Tracking" to on. 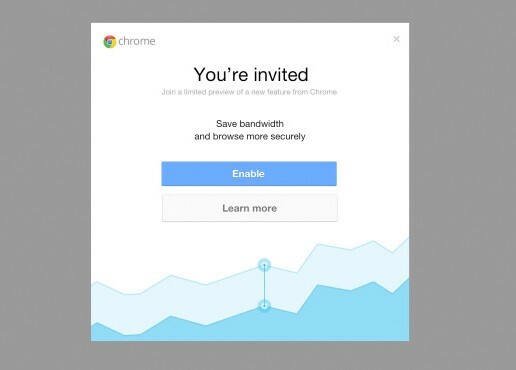 Advertisers love this counterintuitive mechanism because most people either don't touch it — in which case tracking is on by default — or they get the on/off decision wrong, leaving the tracking on when they've switched it to off. 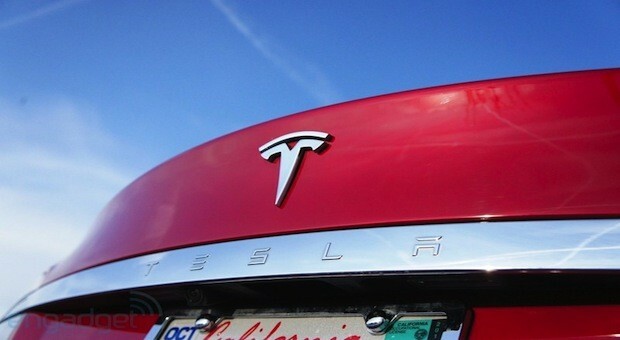 Tesla CEO Elon Musk has discussed the company's ambitions to build a self-driving car on more than one occasion, and now he's revealed a bit more about its plans. After reports today about a job listing for an Advanced Driver Assistance Systems Controls Engineer, he spoke to the Financial Times and confirmed the company is working on a form of autopilot in-house. Expressing his opinion that fully autonomous cars may be a bit too difficult to achieve right now, he said Tesla "should be able to do 90 per cent of miles driven within three years." Other major car companies -- Mercedes, GM, Volvo and Continental, just to name a few -- have projects for either full or partial car self-control, but they're still under development for reasons both technical and legal. Also hanging in the balance is Google's autonomous car project, although from Musk's statements it appears Tesla h as decided to go its own way on the technology. The three year target is an ambitious one, but we'll put this one somewhere between Iron Man and Hyperloop on the Musk scale. You've likely been taking advantage of Zoho's mobile apps and the service's Google Drive integration if you use its office suite. 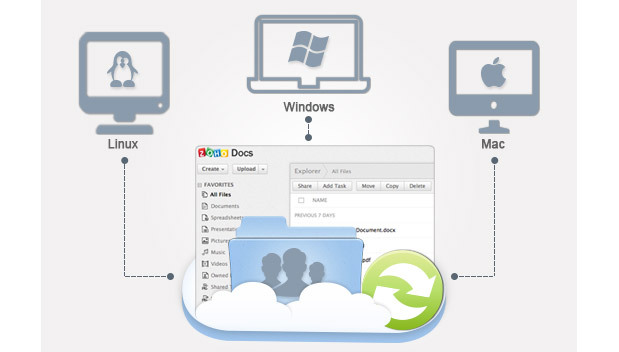 Well, now the company has also released a Zoho Docs for desktop client that syncs files saved on its cloud with a Mac, Windows or Linux computer. It also works in reverse, so files saved on your PC will sync with the cloud -- even documents edited offline, now that the feature's been added, will sync once you connect to the internet. While you can cherry-pick folders to synchronize, it's also possible to set up the client to update all your Zoho documents in all connected devices simultaneously. That includes workspaces you share with teammates, which instantly reflect the changes anyone in the group makes. We're sure faithful Google Drive users won't even bat an eyelash at this update, but those who still use Zoho Docs extensively can click the source link to download the client for free. 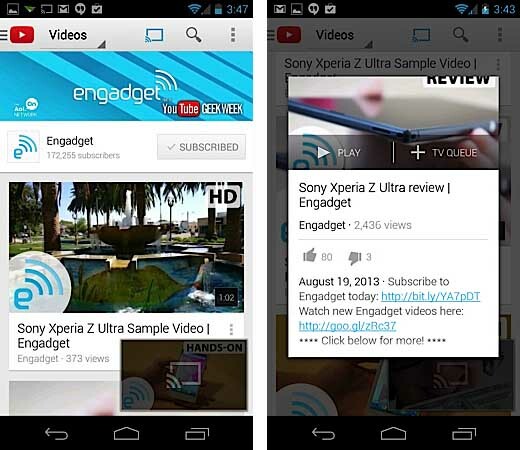 YouTube's Android app added the ability to watch precached videos (while still online) last summer, but Google's video streaming unit isn't stopping there. A post tonight on its Partners & Creators informed video makers that viewing of stored videos with no internet connection is coming soon. According to the blog the feature is coming to its mobile apps -- following up on the recent updates on Android and iOS -- in November, and will let viewers store videos for disconnected viewing for a "short time." We don't know if that consists of minutes, hours or days at a time but we'll keep an eye out for more details -- perhaps this is what the team that used to work on video responses has been up to. 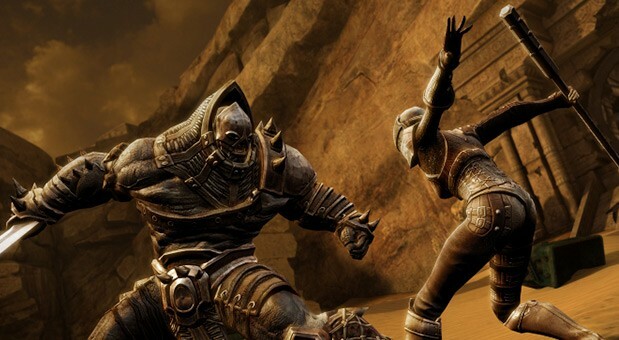 After almost a two-year wait, a new Infinity Blade game has hit the App Store. Chair Entertainment's Infinity Blade III ($6.99/£4.99), the third and final chapter in the Apple-exclusive trilogy, has been designed to get the most from the iPhone 5s' new 64-bit architecture. Available as a universal app (supported by devices running iOS 6.0 and up), the game features new rendering effects, including depth of field, blur and full-screen vignettes, utilizing the same tap-to-move controls from the previous two instalments. If the cancelation of Infinity Blade Dungeons left a dragon-shaped hole in ! your lif e, today's release might just fill it until the next season of Game of Thrones. 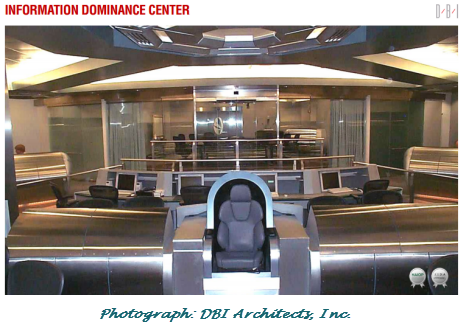 An extensive profile of NSA Chief Keith Alexander by Shane Harris of Foreign Policy mentions an "Information Dominance Center" in Fort Belvoir, Virginia that was designed to look like the 'Starship Enterprise' spacecraft from Star Trek. As commanding general of U.S. Army Intelligence and Security Command (INSCOM) from 2001 to 2003, Alexander oversaw the Trekkie setup and used it to woo policymakers. ... Alexander brought many of his future allies down to Fort Belvoir for a tour of his base of operations, a facility known as the Information Dominance Center. It had been designed by a Hollywood set designer to mimic the bridge of the Starship Enterprise from Star Trek, complete with chrome panels, computer stations, a huge TV monitor on the forward wall, and doors that made a "whoosh" sound when they slid open and closed. Lawmakers and other important officials took turns sitting in a leather "captain's chair" in the center of the room and watched as Alexander, a lover of science-fiction movies, showed off his data tools on the big screen. "Everybody wanted to sit in the chair at least once to pretend he was Jean-Luc Pic! ard, " says a retired officer in charge of VIP visits. 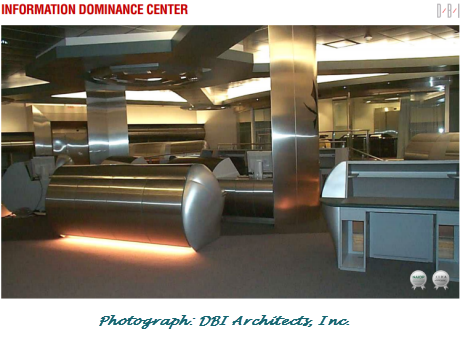 Glenn Greenwald of The Guardian found what appears to be photographs of the 10,740 square foot headquarters on the website of DBI Architects, Inc. (which is "currently experiencing a high volume of traffic"). The brochure reportedly boasts that "the prominently positioned chair provides the commanding officer an uninterrupted field of vision to a 22'-0" wide projection screen."